Here is the full unedited, 2-hour video of the hearing. Full background on the crime is at the bottom of this article. Only one hour after the complaint was filed, the probable cause hearing began. Caught by surprise at how fast it occurred, Brennan apologized to the judge for his being dressed casually, in faded jeans, open button down, and a t-shirt. The hearing lasted an hour and was adjourned until Thursday, April 6th. On the evening of Wednesday, April 5th, Brennan received a hand-delivered document from Samson’s attorney, Angelo Genova, requesting a further two-week adjournment. Half an hour before the hearing was scheduled to begin on Thursday, Brennan accidentally encountered Genova attempting to privately speak to the judge (ex parte), something that is intended to be done only in rare circumstances. Genova was unsuccessful; the conversation never took place. This second day of the hearing was attended by Genova and a co-counsel. Additionally, an observer in attendance was later found likely to be an employee of the law firm that used to be called Wolff Samson. After David Samson was arrested, the firm changed its name to Chiesa Shahinian & Giantomasi. and to argue that, since the New York and New Jersey Port Authority is a bi-state entity, that New Jersey state law does not apply to its employees. The first three points are each accompanied by specific statutes; the fourth is not. Genova requests the two-week adjournment in order to solidify these arguments with legal precedent. Brennan calls the final point in particular “grasping at straws,” because Samson was appointed by the New Jersey Governor and approved by the New Jersey State Senate, and is therefore clearly a public servant for the citizens of New Jersey. Regarding Genova’s claim that that the case cannot go forward because Samson has already been prosecuted for the same crime: Brennan’s complaint is to the state, which is a separate jurisdiction. It is also for official misconduct, a crime that Brennan calls “a more pernicious evil”—and obviously different crime—than bribery and extortion. Also, Brennan told the court that the wording of the statute cited by Genova is explicitly “a crime that is being prosecuted” cannot be prosecuted by another jurisdiction. Thus, since the federal trial has ended, the statute does not apply. Analogously, a citizen does not have the right to an attorney before being arrested by a police officer, only after. The officer has the right to determine if the person should be arrested all on their own. The attorney that will be hired by the about-to-be defendant does not yet have the right to intervene in the decision to arrest. 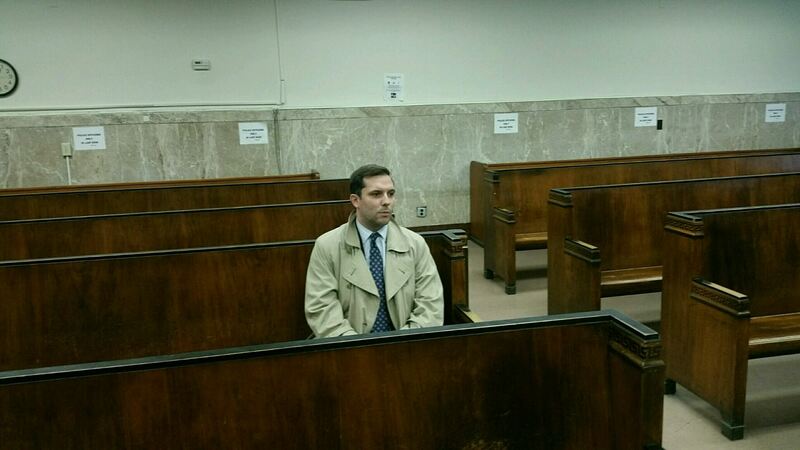 After two-and-a-half hours of testimony by Brennan and Genova, the hearing has once again been adjourned: this time until April 24th at 1 PM, in room 301 at the Newark Municipal Court. The presiding judge is Marvin Adames. When a rich white man commits a crime, the system finds a way to excuse his criminality. The system is controlled by rich white men. For background on this case, continue below. United Airlines wanted to build a hangar at the Newark International Airport in order to save potentially hundreds of millions of dollars in repair costs. This request, among others, had to go through the Port Authority, and Samson used his position of power to demand that, in exchange, the airline create a bi-weekly non-stop route, allowing him to more conveniently get to his vacation home in Columbia, South Carolina, where he spent weekends with his family. The only available route would require him to drive one hundred miles to his home. The new route would be fifty miles closer, landing in Columbia. United had already tried the route in 2009 and, finding it unprofitable, canceled it a year later. Under pressure from Samson, it was recreated in 2012, flying to Columbia on Thursday nights and returning on Monday mornings. Samson and others called it “the chairman’s flight.” The airplanes have a capacity of fifty people and were consistently only half-filled. Three days after Samson resigned, the route was terminated. U.S. District Judge Jose Linares stunned federal prosecutors by sentencing Samson to a year of home confinement, four years of probation and 3,600 hours of community service…. [He] is required to pay a $100,000 fine and wear a location-monitoring device. [Judge Linares] said he took into account Samson’s lifetime of public service and good deeds, his age and poor health, as well as more than 40 letters of support from friends, colleagues, family members and public officials –including former Gov. James McGreevey, three former state attorneys general and a retired federal judge. The judge also cited the punitive nature of Samson losing his law license and seeing his name stripped from the law firm he founded. He said the loss of reputation was not insubstantial. 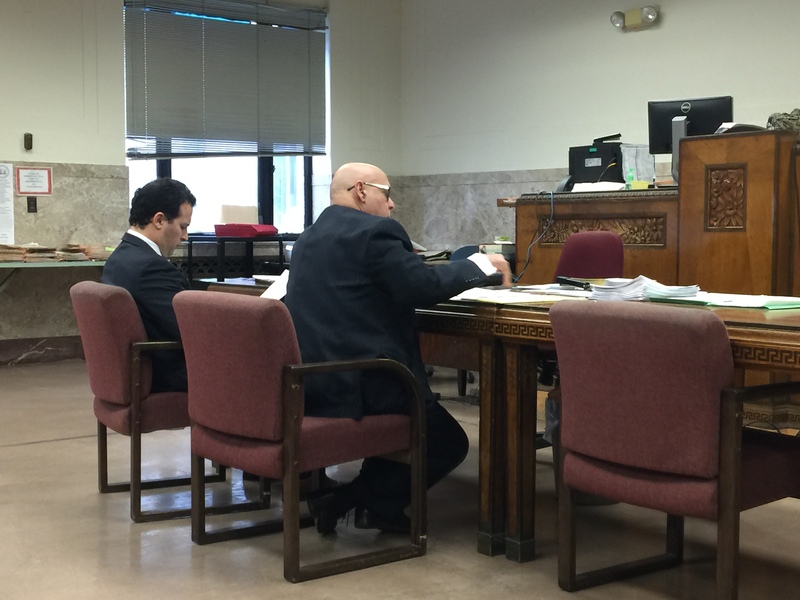 The hearing has been adjourned until April 24th at 1 PM, in room 301 at the Newark Municipal Court. The presiding judge is Marvin Adames.